It's been one of those days, so this won't be too long a post. I want to wrap up the week with A Perfect Circle's first album, "Mer De Noms," from 2000. It's a vicious, moody blend of art-goth rock and heavy metal. It's like The Cure, The Smashing Pumpkins and The Sisters of Mercy were all stuck into a blender. So, Billy Howerdel, the main musician behind A Perfect Circle, was a guitar tech for The Smashing Pumpkins for a while, as well as Tool, Nine Inch Nails, Fishbone, Guns'n'Roses and others. It was on those gigs that he made friends with Maynard James Keenan, Tool's vocalist. When Howerdel was crashing at Keenan's house, he played some of his demos for him, and the band was formed. They added a number of other musicians, including former Failure guitarist Troy Van Leeuwen and former Primus drummer Tim Alexander, although Alexander was replaced with Josh Freese early on in the recording process of the first album, "Mer De Noms." The album was a big hit, the highest ranking debut for a new band on the modern rock charts. The video for the first single, "Judith," was directed by David Fincher. They opened for Nine Inch Nails for a while before launching their own tour. 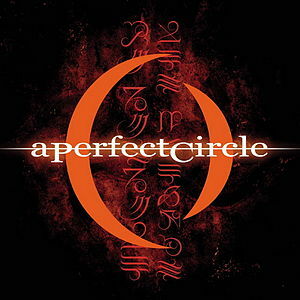 You can definitely hear elements of other bands, but A Perfect Circle are truly different than anything else out there. The two bands that draw the most obvious comparison are Tool (which is mostly just hearing Maynard in both bands) and Failure (in terms of guitar textures and approach), but "Mer De Noms" stands out in that the album is willing to shift from heavy metal to acoustic melody and back as much as it pleases. For example, the second single, "3 Libras."